If Google Maps on your Android phone has been feeling a little flat lately, get ready to add a little depth to the experience. A feature in the latest version of Google Maps for Android lets you tilt the map view for a 3D-like perspective, complete with 3D buildings for more than a dozen major cities. 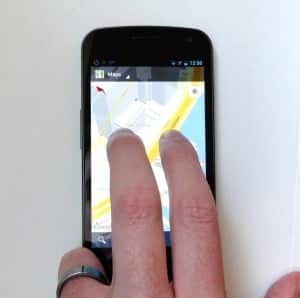 Just drag down with two fingertips to tilt Google Maps for a 3D-like perspective. The 3D feature is well hidden—indeed, digging around the various menus on the Google Maps app for Android won’t do you much good. But here’s the trick: just drag down on the screen with two fingertips. As you do, Google Maps will tilt down to about 45 degrees or so. And if you zoom in close enough (just “pinch” with your fingertips), you’ll see 3D outlines of buildings and skyscrapers in cities like Boston, New York, Vancouver, Chicago, San Francisco, and Paris. Want to go back to the usual flat view? Just drag your two fingertips back “up” on the screen. 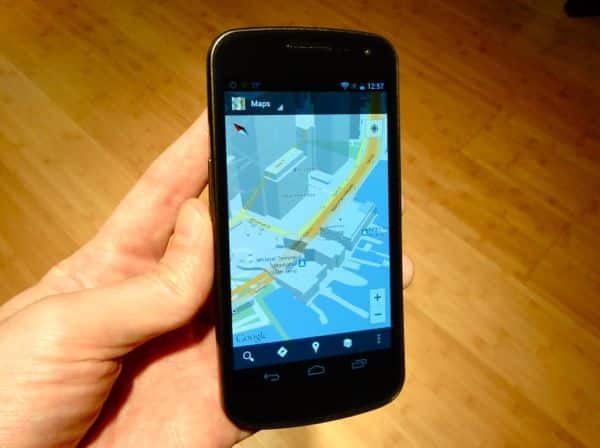 Note: Keep in mind that older Android phones may not support the 3D feature in Google Maps. Want to change the direction in which the map is facing? Easy. Just get your two fingertips ready again, touch the screen, and rotate them one way or the other.